Chinese Cricket Club is a Chinese restaurant located in the Crowne Plaza Hotel in Blackfriars, right next to another restaurant I really like, Diciannove 19. The name is unusual as one doesn’t usually associate Chinese food with cricket. But the restaurant is named in honour of the original Chinese National Cricket team which played their first international match in 2009, so there you go. Unlike some Chinese restaurants in Chinatown, Chinese Cricket Club follows a more contemporary formula with its décor and is very smart looking. There are also pieces of cricket memorabilia hanging on the walls for those of you who not only love Chinese food but cricket as well. Food wise, the menu offers an extensive range of authentic Sichuan food. There is also a section devoted to dim sum specialties. We went for lunch, a time of day that saw more of a business crowd. We started our meal by trying a variety of dim sum plates including scallop and prawn siu mai (£6.80) and prawn har gau (£5.80). 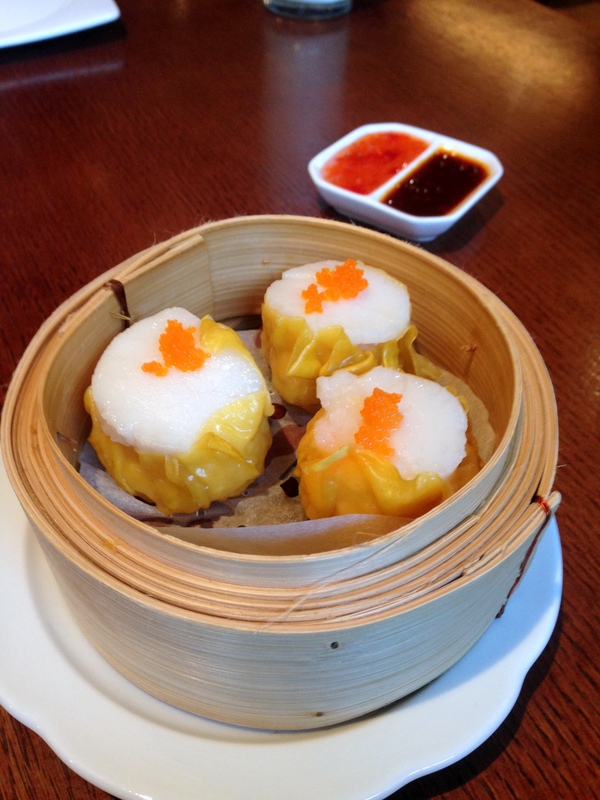 The scallop siu mai was superb and had been topped with a beautiful piece of sweet scallop. This was a 5/5 dish for the quality of the scallop was superb and the perfect cooking time that meant the scallop was still juicy and delicious. 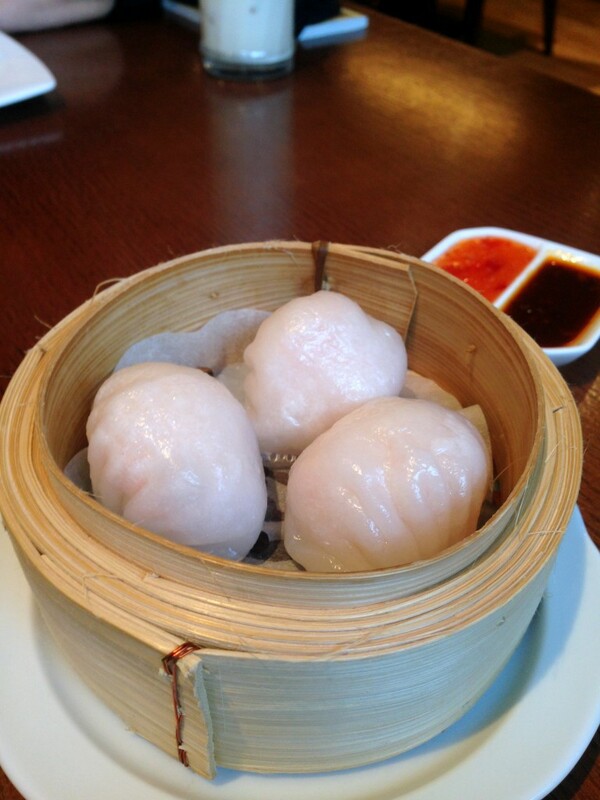 The prawn har gau was also very tasty and plump, with a har gau pastry that was rather authentic – slightly thick, slightly soft and slightly translucent. Cricket Club duck spring rolls (£8.80) were respectable. The pastry was crispy and the filling was tasty, although a little more duck in the filling would have been preferable. 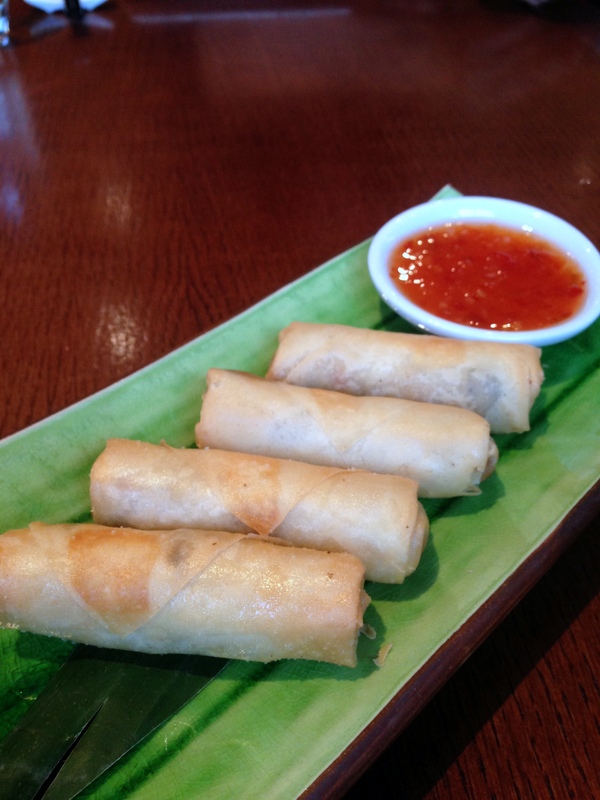 Given the little amount of meat in the filling, the spring rolls were a little pricey. 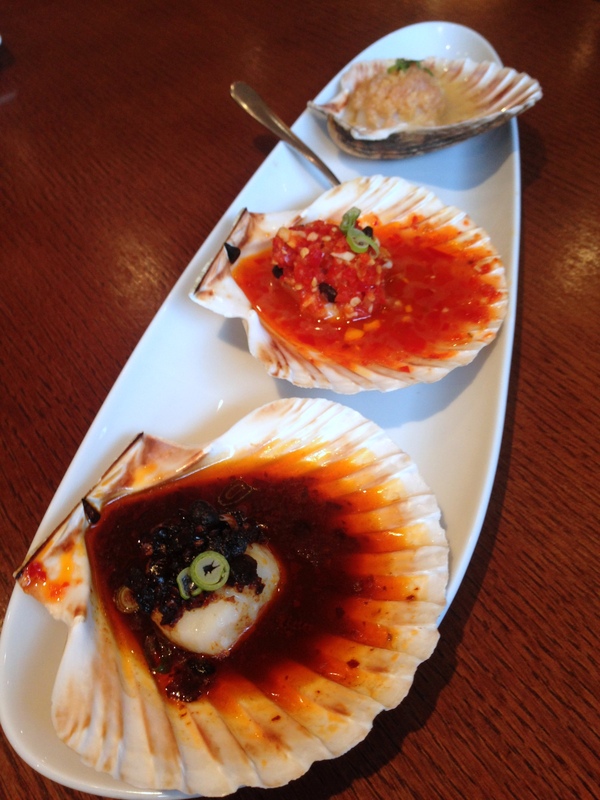 A trio of scallops in the shell came with a selection of sauces (£13.80) – garlic, chilli and black bean. All three were excellent with the scallops again being delicious and beautifully cooked. All the sauces worked wonderfully with the scallops, with our favourite being the garlic. It was a touch salty, but wonderfully garlicky and moreish. 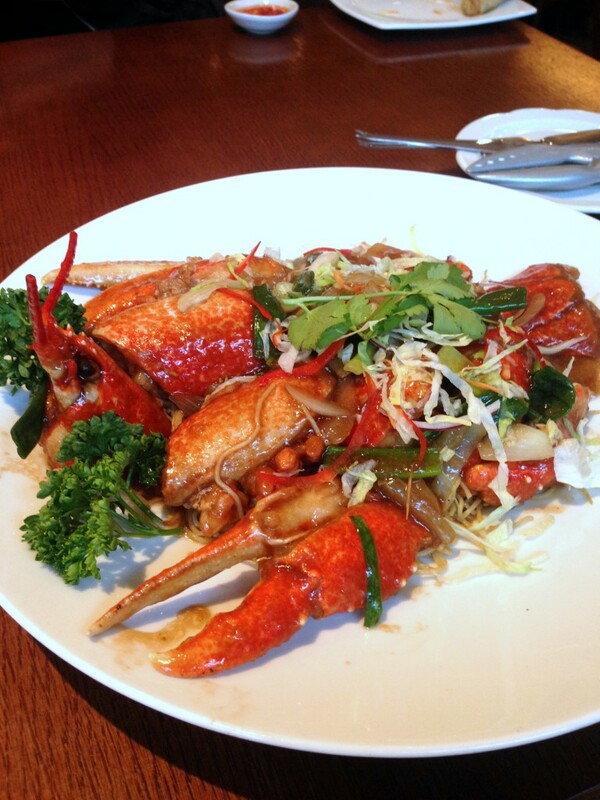 We really enjoyed the stir-fried lobster noodles with ginger and spring onions (£45). The noodles themselves were nicely done, and the sauce was exactly as it should have been, tasty and with lots of it to cover the noodles. The lobster was flavoursome and well cooked as well. You had to get your hands dirty, cracking the claws, and my recommendation is that you do not order this dish if you’re on a date. At Royal China in Putney they use to pre-crack the lobster so you never had to use your hands when eating the noodles. 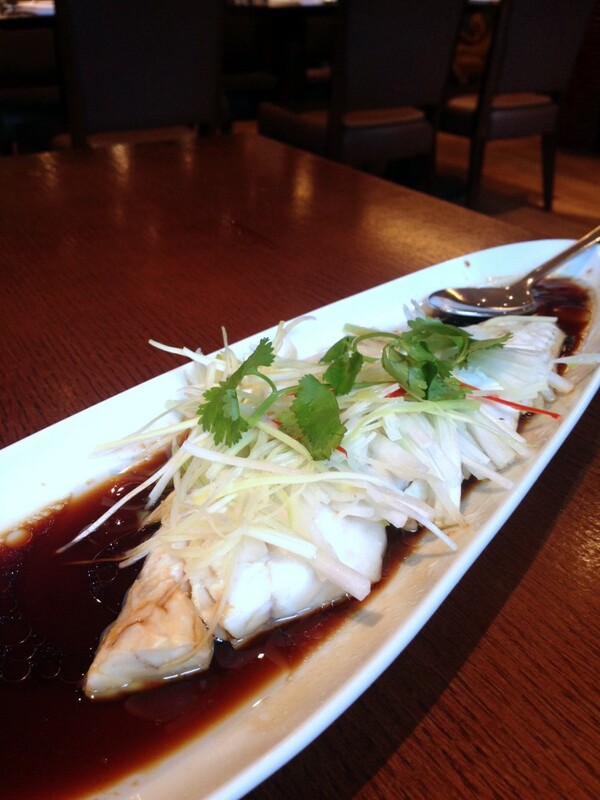 Steamed sea bass with soy sauce (£18) came as a piece of fillet. It was nicely done and very tasty, and the sauce, a combination of soy and oil topped with scallions followed the traditional Chinese formula. My preference is for a whole fish to be steamed rather than a fillet. This helps to keep the fish moist as it is on the bone, and it is also how it is usually done in Chinese cooking. Still we still really warmed to this dish as the fish was of a good quality. 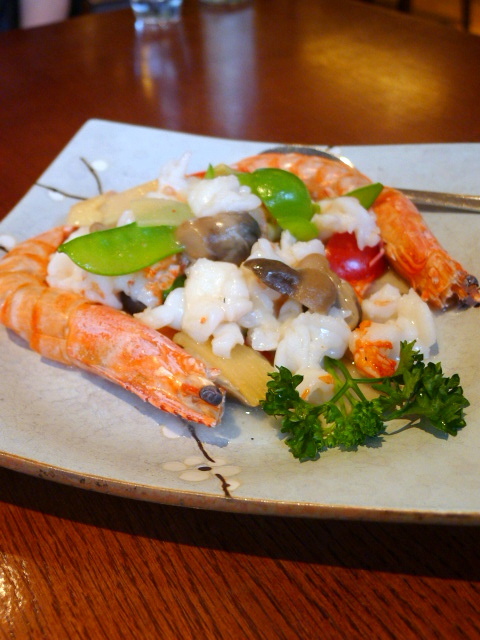 Another seafood dish (yes we really love seafood) of jumbo prawns with ginger and scallions (£23.80) was also fairly tasty. The prawns were a little soft in texture but had a really nice flavour. Chinese Cricket Club showed off some strong Chinese cooking with quality ingredients. We powered through all the dishes and enjoyed everything we ate, and if our stomachs were bigger we would have ordered more as everything was delicious. We had the most charming, attentive waitress and we thought her service was excellent. We wanted for nothing and no request was too silly. We thought really highly of Chinese Cricket Club and would happily go again. Prices: About £30 to £75. Chinese food is about sharing lots of dishes, so it will depend on what you order and how much you eat.